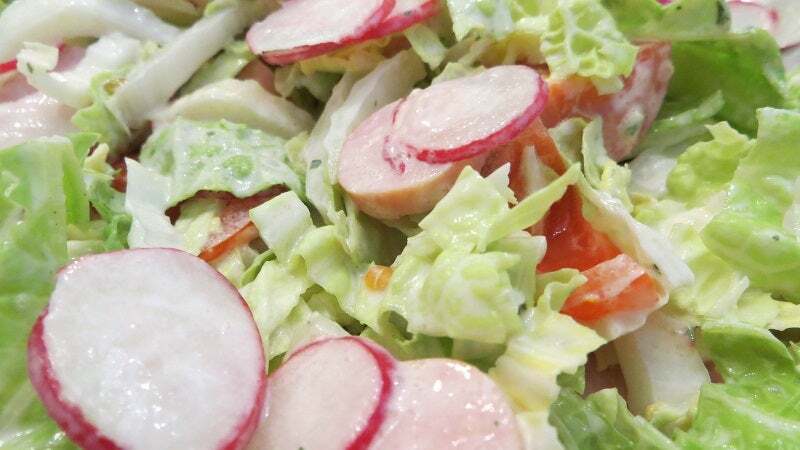 The perfect bite of salad has every one of its ingredients represented. But if you just throw a bunch of greens and other things together, you'll be stuck with big leafy bites that miss out on some serious flavour. If you want to take your lunch salads to the next level, Chef Michael Stebner of Sweetgreen tells The Kitchen that you should cut all of your salad's ingredients to roughly the same size. Whether it's a few seasonal vegetables, some protein or even croutons, cut them down. Your dressing will coat the ingredients more evenly, and each bite will offer a wide variety of flavours and textures.